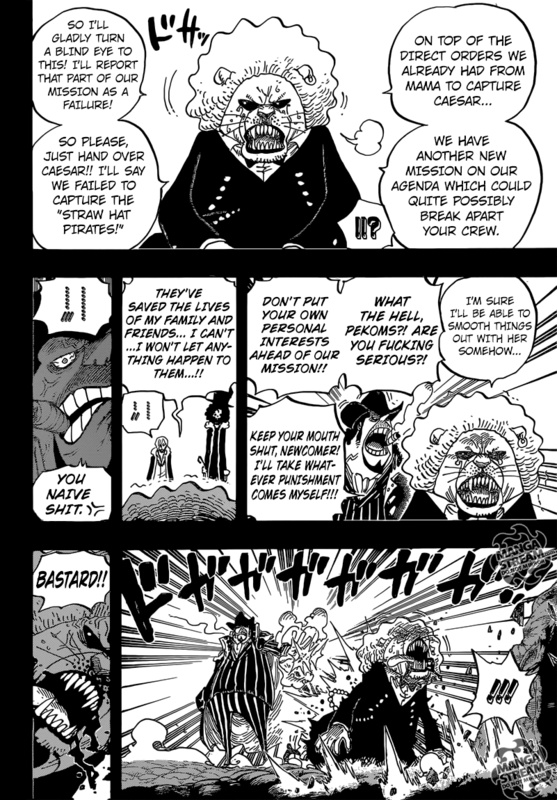 The Big Mom Pirates are seemingly no match for the Germa 66, particularly Sanji’s siblings. 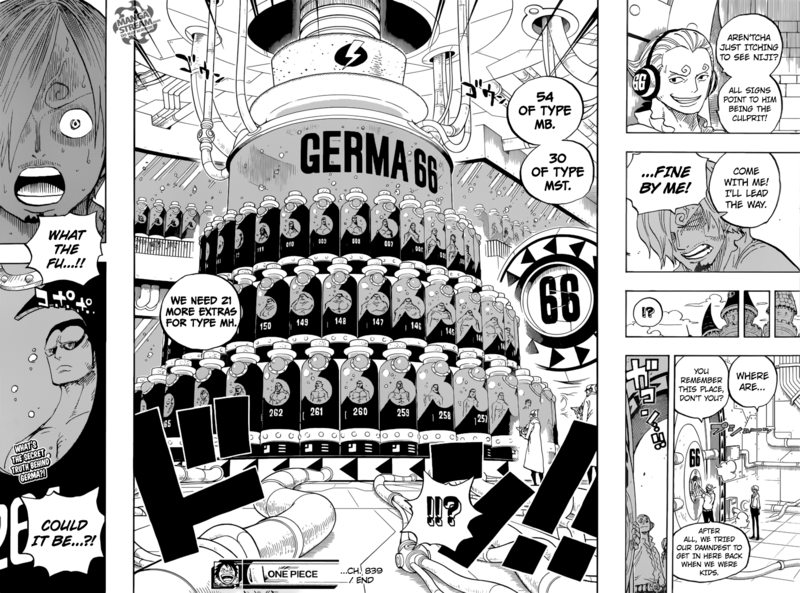 They marvel at the enhanced “bodies” of Germa 66, Oven asks what happened to Nusstorte, the 12th son of the Charlotte Family. Ichiji revealed that he was “thrown into the sea,” along with the “cloud of fleas” that tried to swam them. 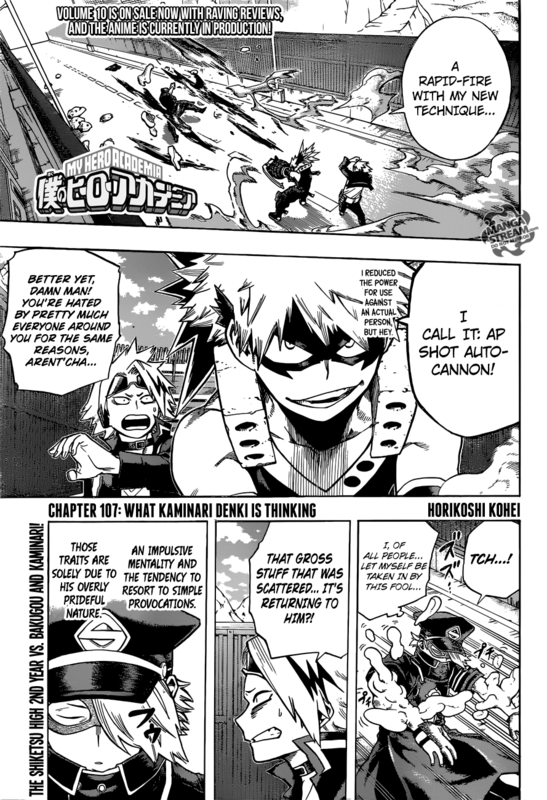 He dismisses that attempt as being ridiculous due to the “superior technology” of the Germa 66. Mont-d’Or desperately calls his brother after learning of his defeat. Niwatori blames Pekoms for this because of his betrayal, Nusstorte is shown floating in the sea. 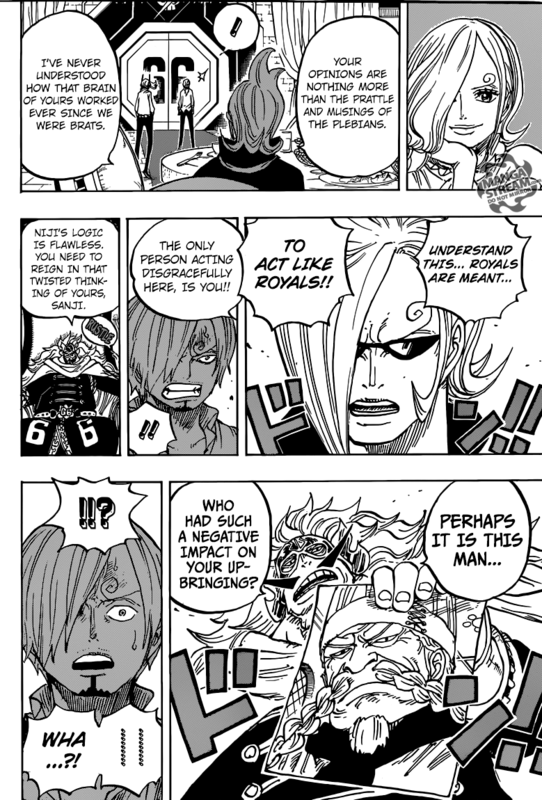 While the Strawhat’s continue to try to escape they are contacted by Sanji. 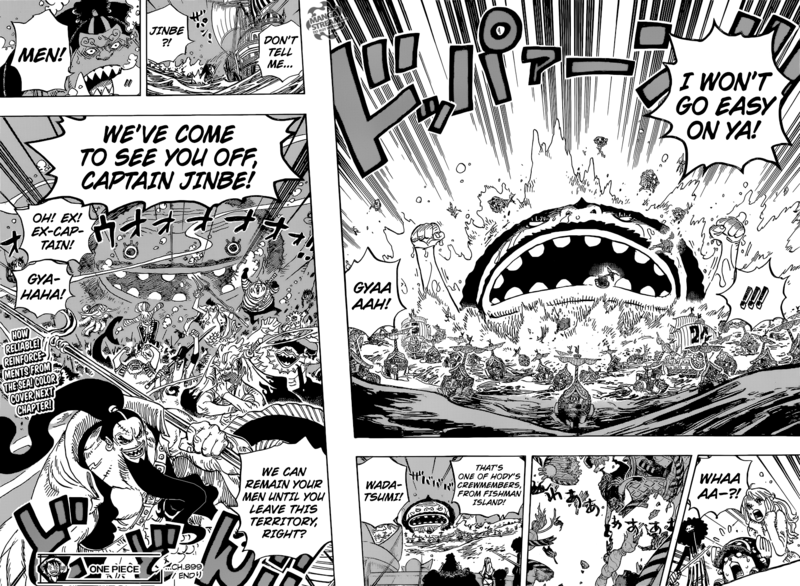 He tells Jinbe that they should “pass by the harbor” and he will be there with Luffy. 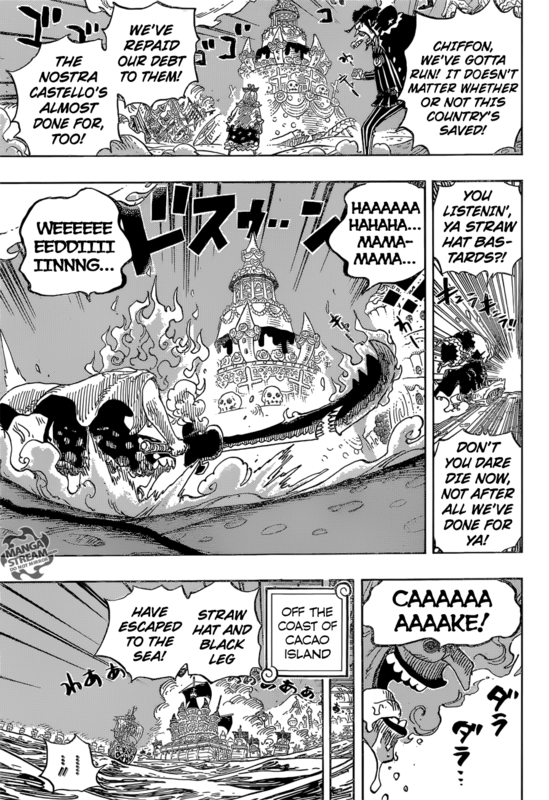 On the Island, Sanji easily defeats many of the Big Mom Pirates as he escapes with Luffy. 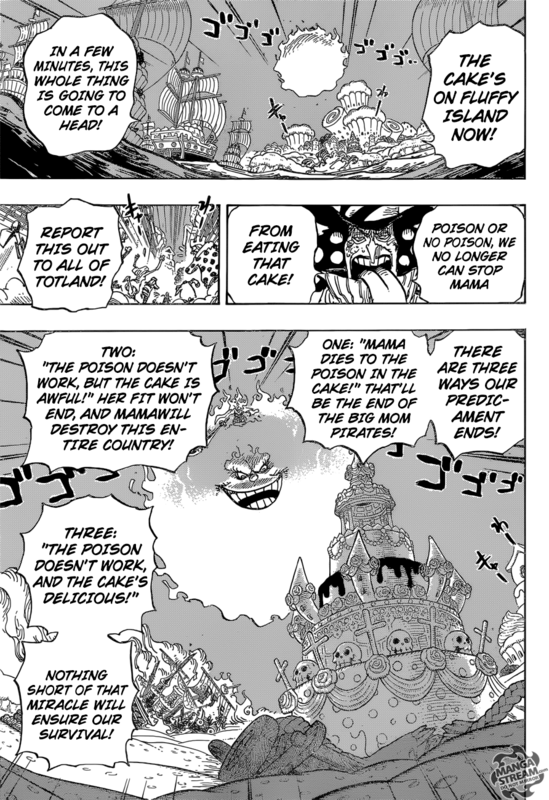 Brulee tells them ” not to permit the Straw Hats’ escape,” she reveals to the Big Mom Pirates that Luffy actually defeated Katakuri. 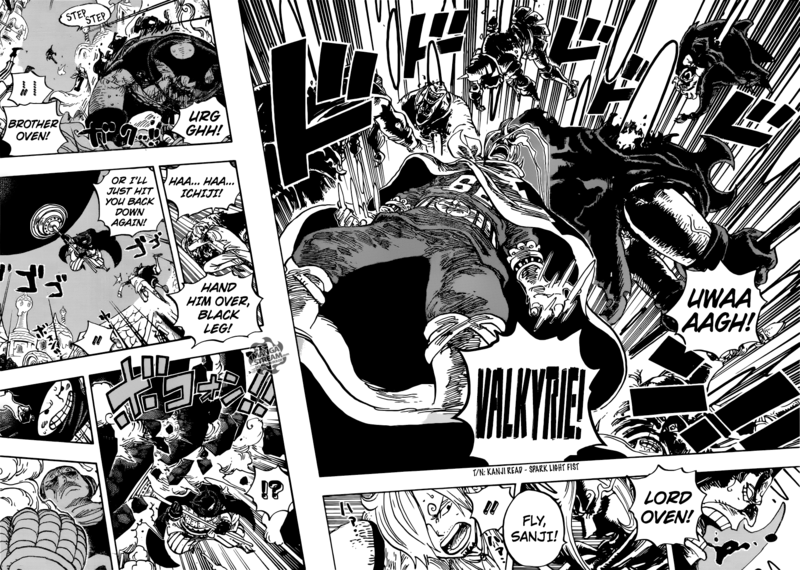 This news ruins the image that Katakuri as being “unbeatable.” Oven becomes enraged and he attacks Luffy and Sanji but Ichiji counters with Sparking Valkyrie. Charlotte Yuen tries to attack Sanji but Yonji crushes Yuen’s staff. 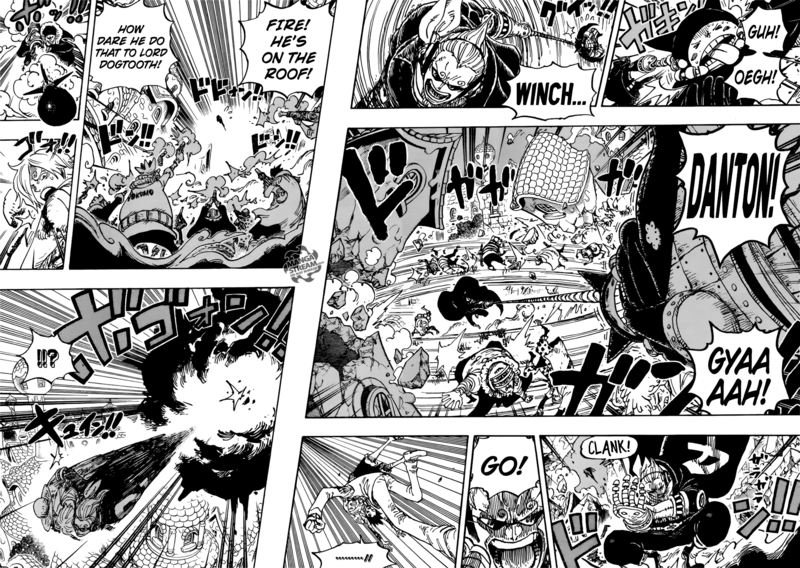 Sanji begins to escape through the air, several snipers shoot at him. Niji flies and grabs Sanji as the explosion from a missile go off. 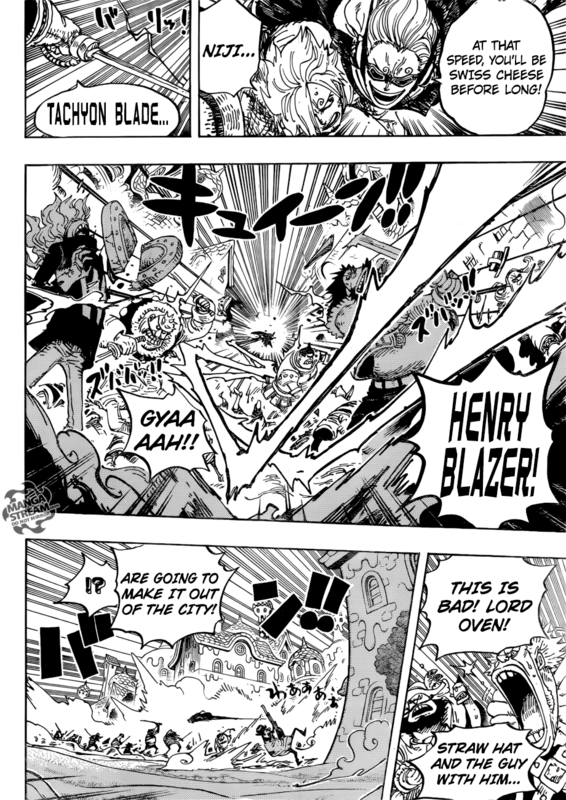 He travels with Sanji at high speeds, while attacking several Big Mom Pirates with his Tachyon Blade: Henry Blazer attack. Niji throws Sanji and Luffy at the Thousand Sunny, as they fly over Cacao Island, Oven contacts Snack, Brownie and Joconde to deal with them. However, Reiju has already taken them out with her poison. Smoothie’s fleet is being pinned down the Germa. Carrot notices Sanji flying towards them. 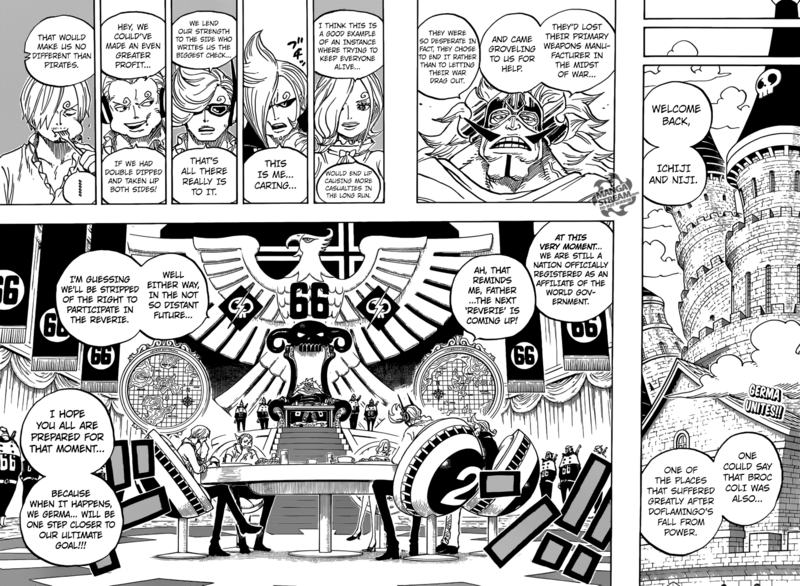 I predicted that Germa 66 will come and save the Strawhat’s, it was just impossible for them to save themselves. However, I am weary of this potential happy ending. I think someone important will die and it will likely be Sanji. That said Sanji’s father wasn’t anywhere in this chapter, so he could risk his life and save Sanji, finally showing that he cares for his son. This chapter mostly centered on Sanji, finally finding Luffy. Sanji tells a emaciated Luffy that “he never told Luffy to wait there.” He gives Luffy the bento box and Luffy eats the food. He claims that the food is “delicious,” noting that Sanji put all the favorite foods of the crew in the bento box. 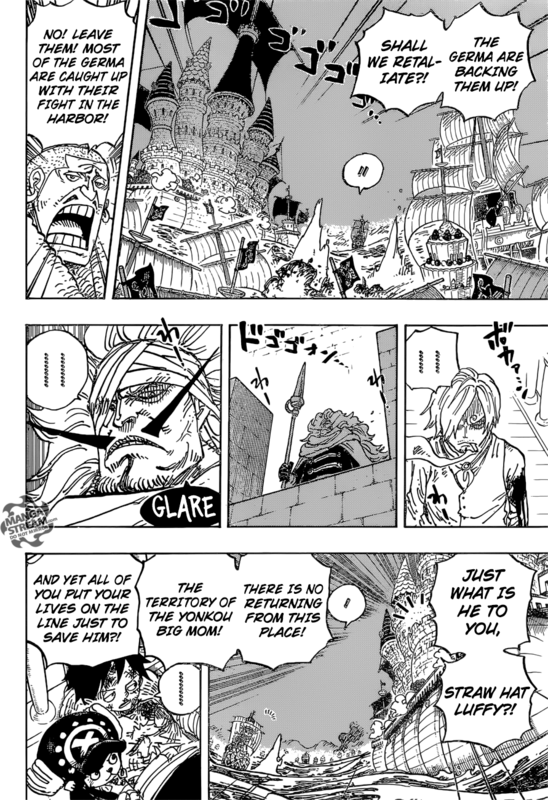 Luffy regains his strength and Sanji tells him that he should leave. Luffy tells Sanji that he should return with him, but Sanji says that there are three reasons he cannot return. 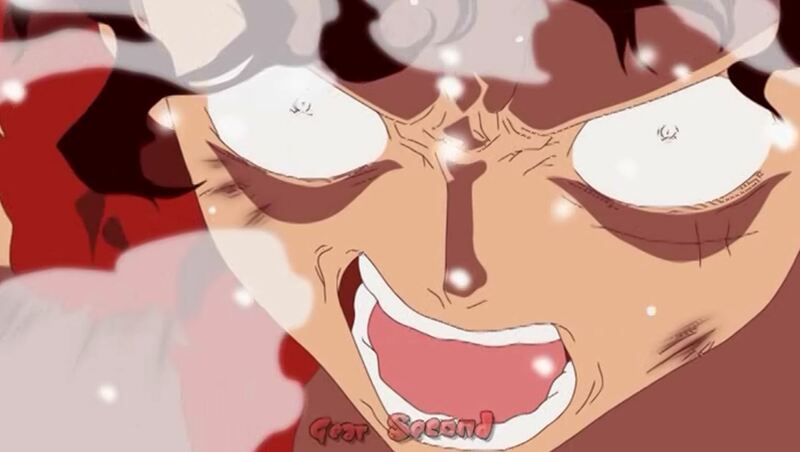 First, “he attacked and disrespected Luffy, his captain, despite the latter coming to save him.” Second, “Zeff is still being held as a hostage,” and finally, “he still does not have the conscience to let his family be murdered tomorrow.” Luffy becomes upset and slaps Sanji into King Baum’s remains. 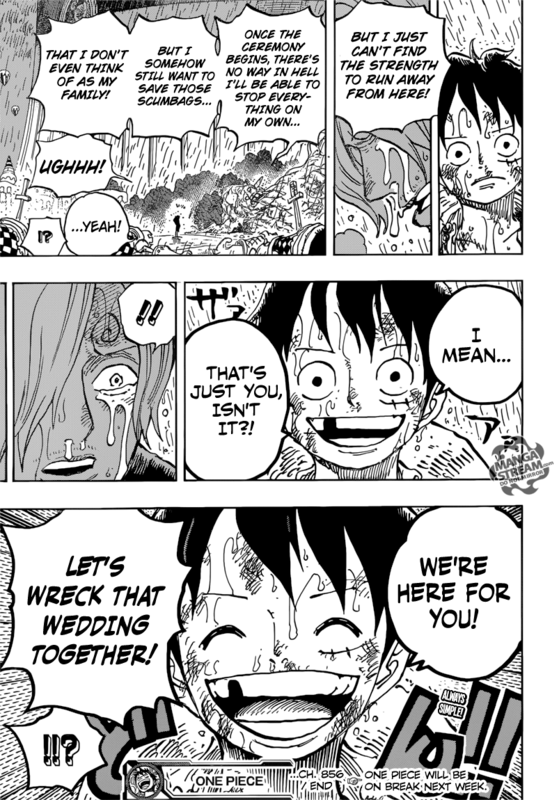 He asks Sanji to “tell the truth,” and Sanji finally relents, stating “that he wants to return to the crew.” Luffy tells Sanji that they can work together to wreck this wedding. 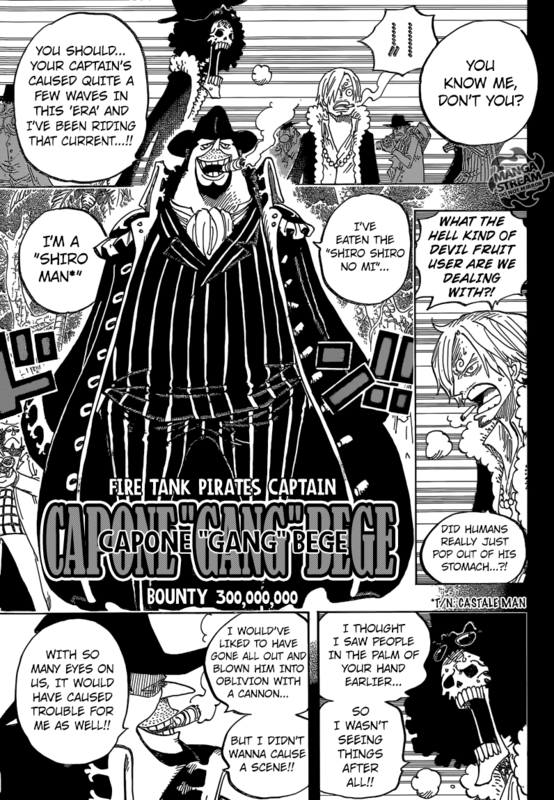 Sanji confronts Bege and Pekoms, along with Brooke. He asks “what business the Big Mom Pirates.” have on Zou. Pekoms thanks Sanji for saving his home. He reveals that “they had two missions: to capture Caesar and do something that would tear apart the Straw Hats.” He was willing to overlook the last part of the mission. However, Bege doesn’t find his decision acceptable. Pekoms says that he “will take any punishment handed to him”. Bege shots him in the back, shocking everyone. 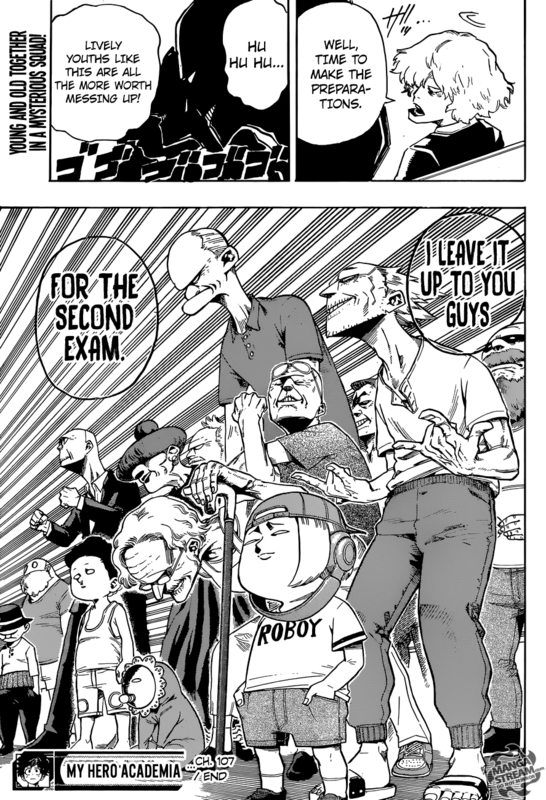 This chapter continues to add to the intrigue of the Zou arc. Pekoms reaction to the “Straws Hats”, saving his tribe wasn’t that surprising. However, Bege betrayal was. The Shiro Shiro devil fruit ability is interesting. 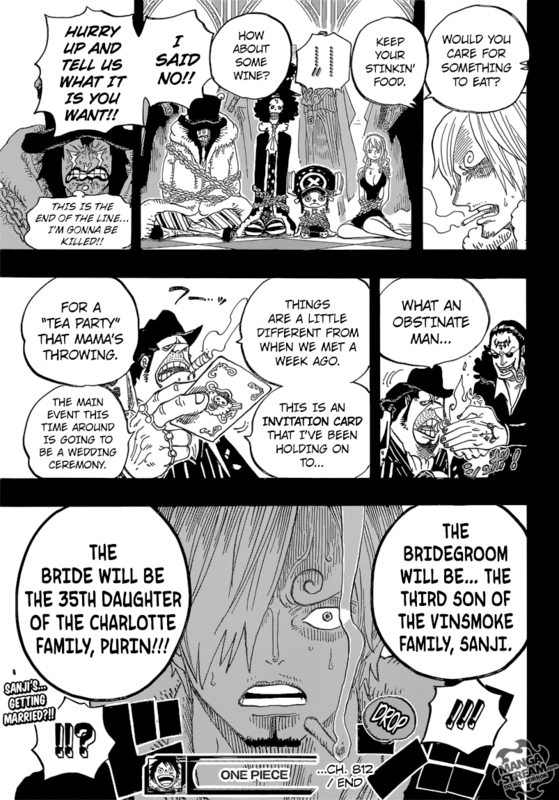 However, the most shocking revelation is the fact that Sanji is being forced to marry. I think he may do it if it could save his friends and if she attractive. We’ll see. 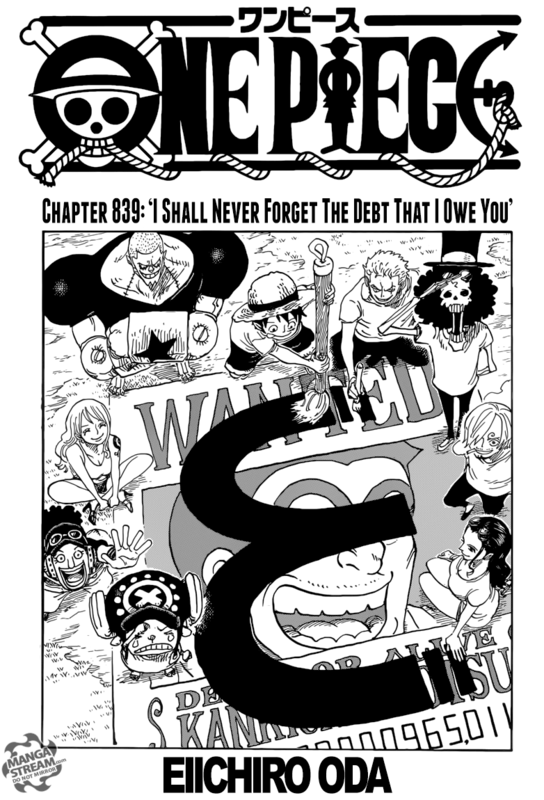 The title of this chapter told us who was returning in this chapter. 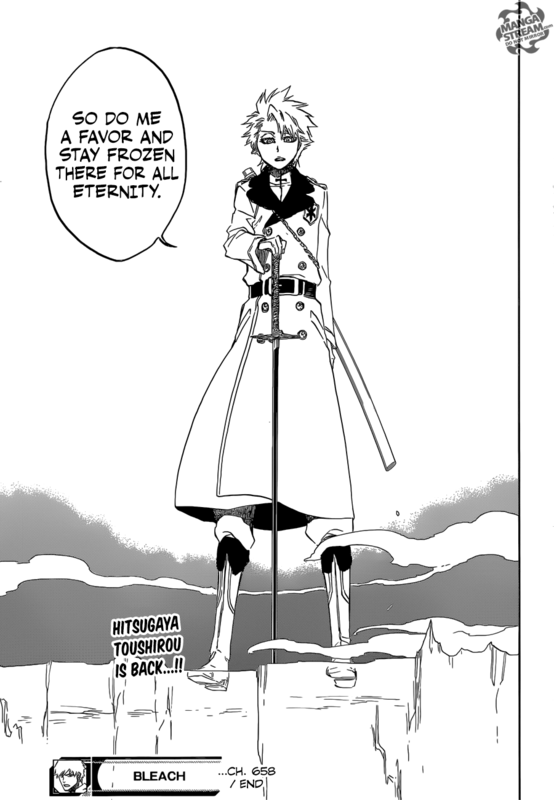 Hitsugaya’s return wasn’t surprising but I’m happy to see him return. Other characters also make a return to the series. The Visored, Hiyori, Lisa, Love, and Ushoda return. For the most part they prove to be useless. At this point Gerard isn’t really that impressive. He’s rather boring and I’m not at all interested in him. However, I would imagine he becomes more interesting when give a challenge. The first question to ask is “can Hitsugaya defeat him.” I think he can if Gerard’s power is based on “pure power” conversion. If Hitsugaya can circumvent this ability with his ice based attacks, he maybe the only one who can. Anyway, Askin explains his power AGAIN. This time he manages to shoot Yushiro with three arrows through the chest. I don’t know what Yoruichi will come up with to defeat him, but I hope she does. Overall, mostly a set up chapter. I hope Hitsugaya has some new techniques. Luffy – the main protagonist in the One Piece Series. Musshuru – the second antagonist in the 9th movie. Luffy fights Musshuru, they are initially even. But Musshuru gains the advantage with his speed and poisoning him with his spores. Chopper attempts to defeat him but is easily dismissed. 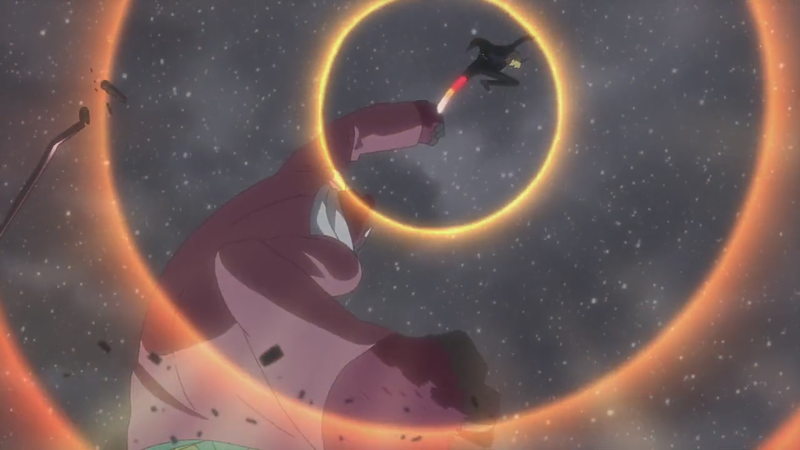 Musshuru is shot with a fire bullet by Usopp. 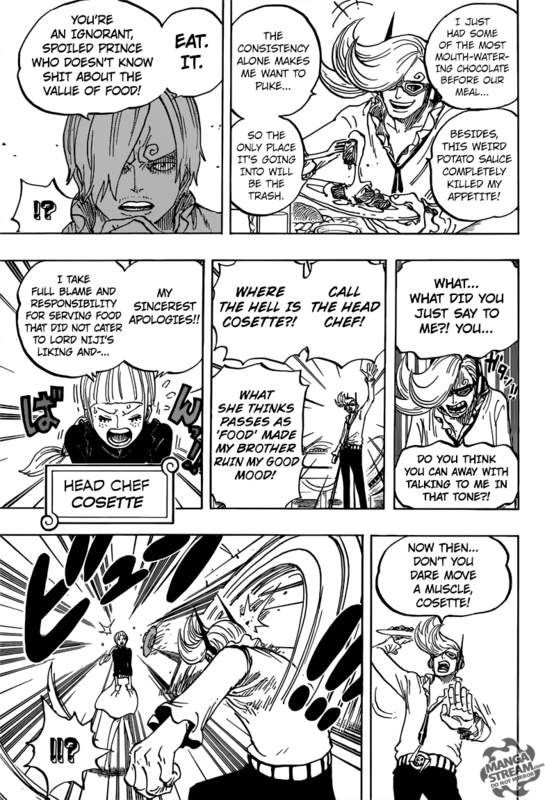 Robin gives an antidote to Luffy. 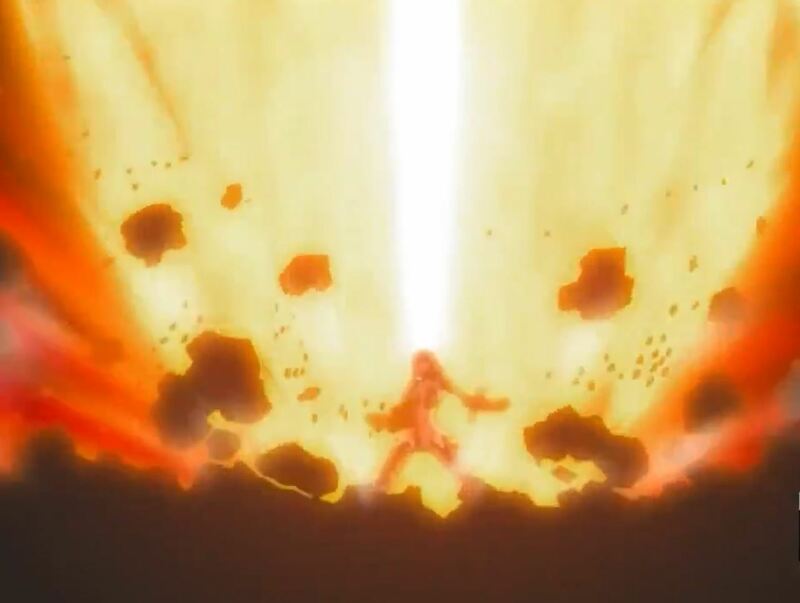 Luffy recovers a uses his Gear Second, using a powerful Jet Bazooka to defeat Musshuru. Sanji – the cook of the Straw Hat Crew. Scarlet – is a giant red gorilla that’s a member Golden Lion Pirates. The was a rather short battle that was utterly dominated by Sanji. Scarlet kidnaps Robin and in a scene similar to King Kong takes her to the top of a tower. 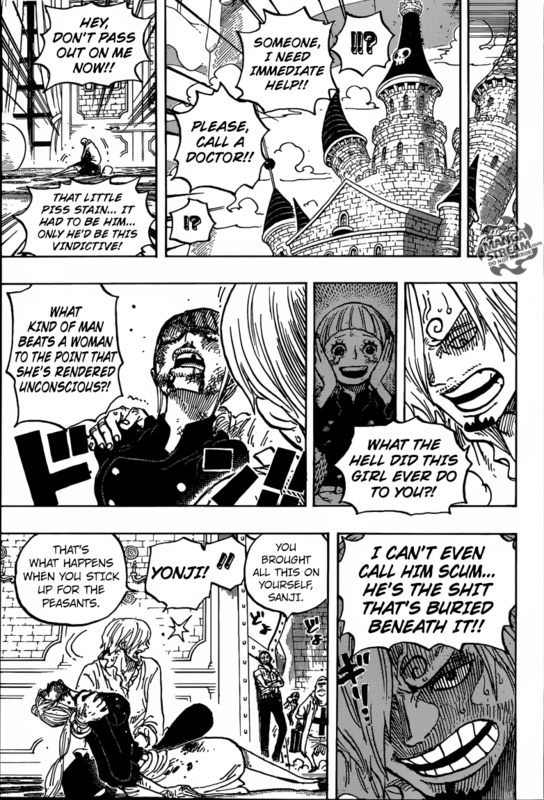 He plans on marring her, but Sanji has other plans. Using his quick feet to scale towards the top of the tower. 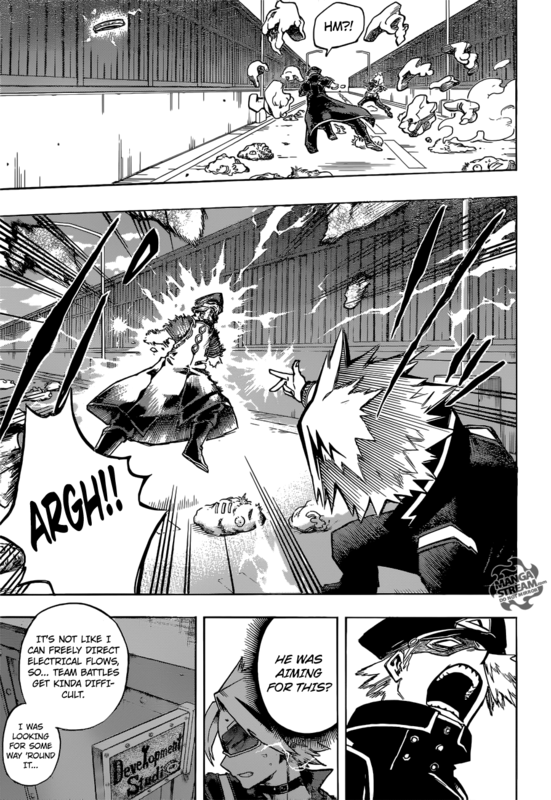 Scarlet attacks but is defeated by Sanji’s “Diable Jambe”. Zoro – is a member of the Straw Hat Pirates, and a former Bounty Hunter. Zoro makes quick work of Dr. Indigo. 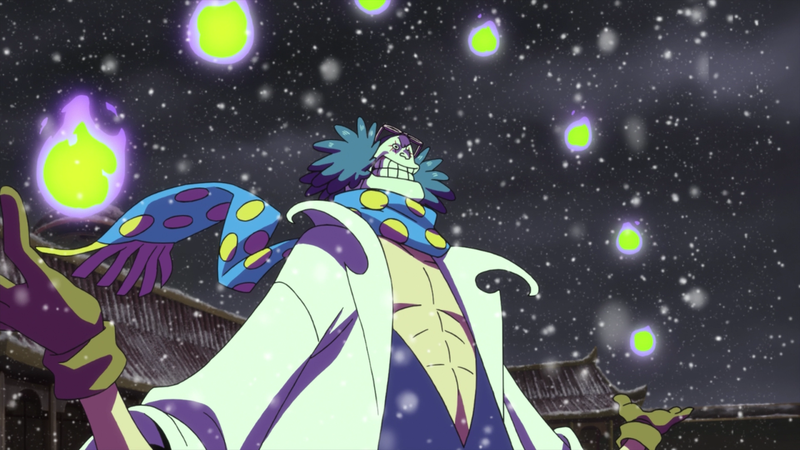 Indigo uses his “Chemical Juggling” ability, firing chemical orbs at Zoro. Zoro slices through them, but is hit. He is unharmed and Dr. Indigo response by uses ” Mass Juggling”. Zoro uses his “Ashura: Ugui” and defeats Dr. Indigo with ease. Natsu – is a Fire Dragon Slayer, a member of the Fairy Tail Guild, the main protagonist of the series. Gajeel – is an “Iron Dragon Slayer”, a member of the Fairy Tail. Sting – the Master of Sabertooth. Rogue – is a Mage of Sabertooth. 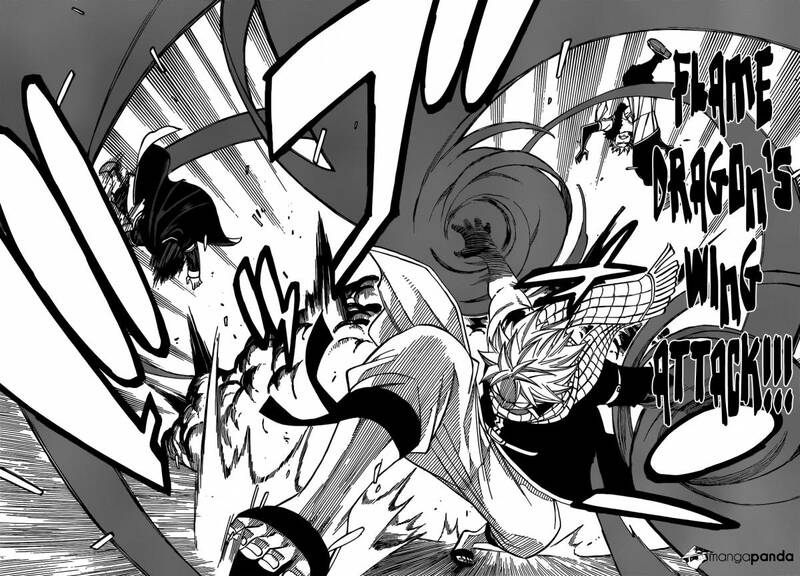 The Battle between the Dragon Slayers begins with Natsu and Gajeel clearly Dominating. They appear to effortlessly thrash Sting and Rogue. However, they both activate their White Drive and Shadow Drive respectively. This turns the tide of the battle in their favor. 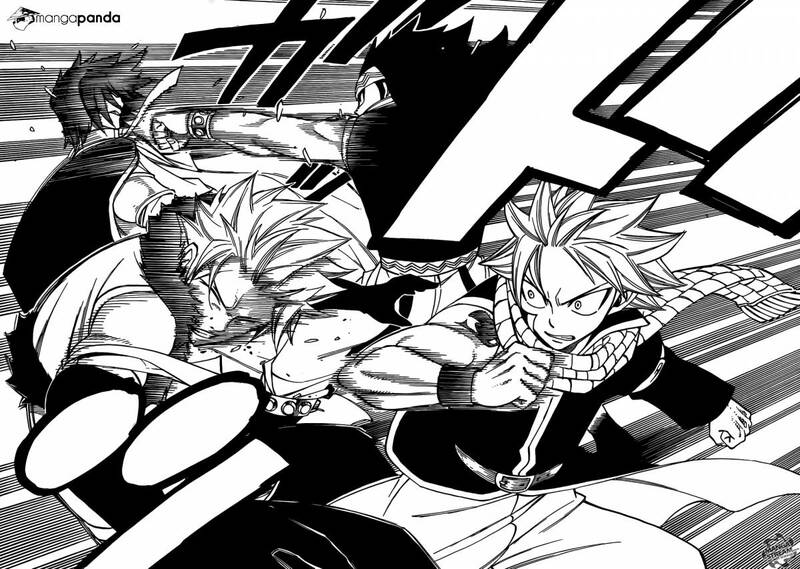 Neither Natsu or Gajeel are afraid as they continue to surprise the audience with their strength. Sting uses his best move, Holy Nova. 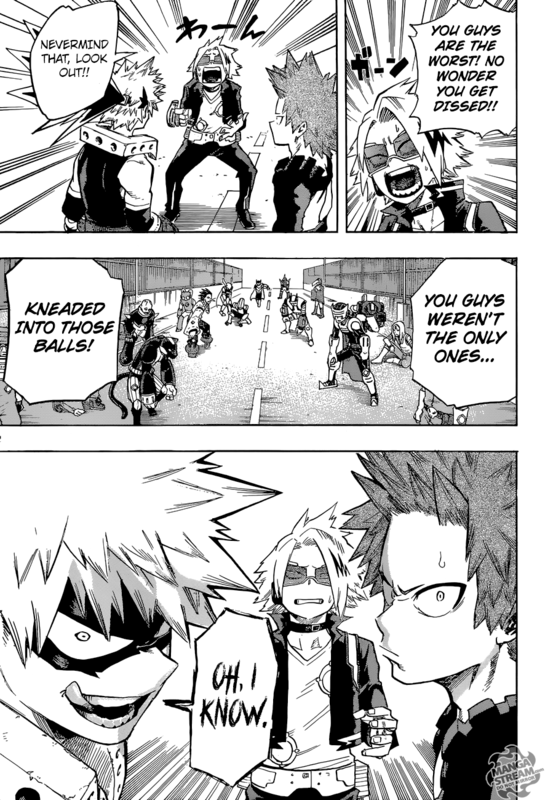 Natsu is completely unaffected by this technique. Sting and Rogue activate ” Dragon Force”, and take over the battle. 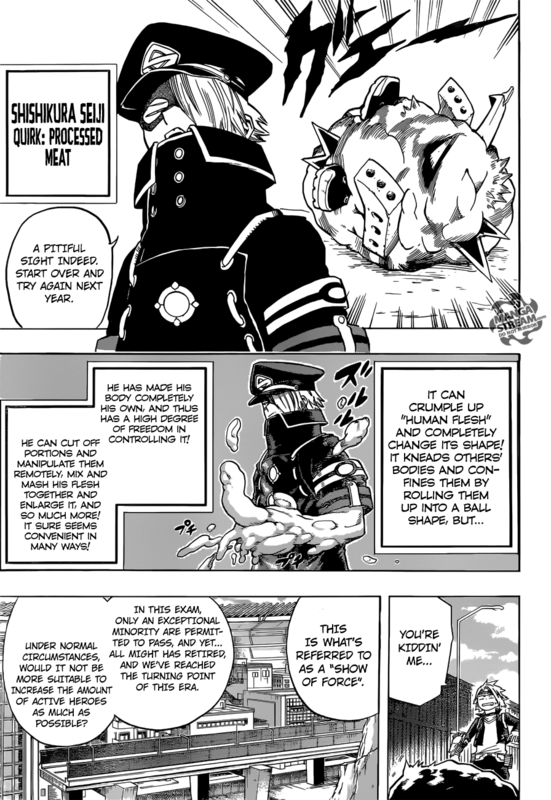 Natsu aims to prove that both he and Gajeel have been underestimated, by taking on both a the same time. Natsu dominates the two Dragon Slayers, they resolve to combine their attacks into ” Unison Raid: Holy Shadows Dragon Flash Bang”, Natsu counters with his “Crimson Lotus: Exploding Flame Blade”. 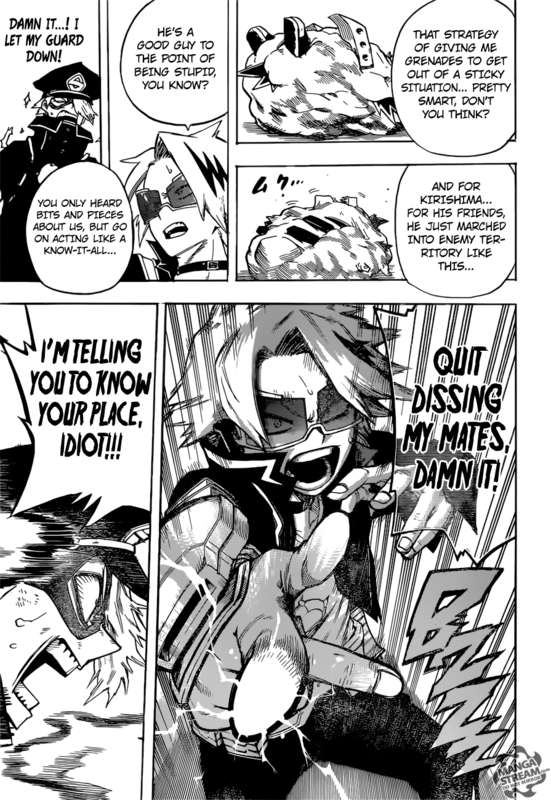 Natsu is declared the victor. Island Creatures – animal species that inhabit Strong World. During the early scenes in the movie the Straw Hat Crew come in contact with hostile animals species in the Strong World. Luffy is being chased around an island by a flat crocodile like monster.The croc type monster is then attacked by a pink octopus like one. 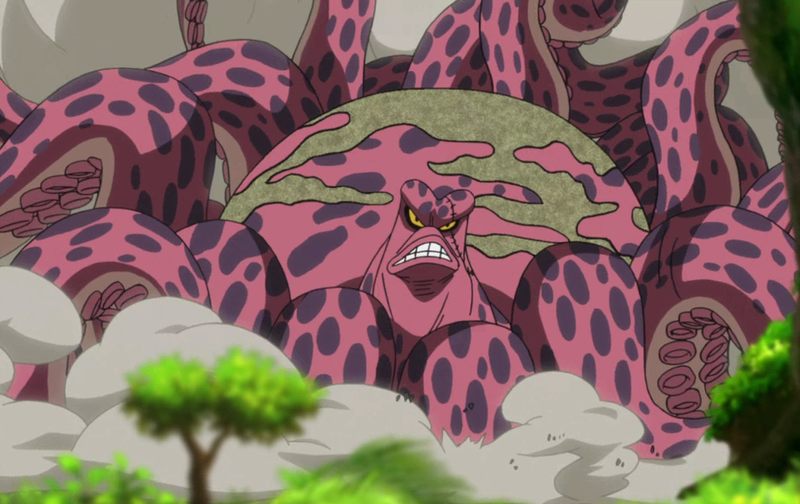 The octopus chases Luffy, then a Mantis attacks Luffy who dodges the attack. The Mantis proceeds to attack the Octopus and cuts its tentacles with it sharp pincers. The Mantis is then attacked by a large Bear type monster, and is defeat when the Bear uses a suplex move. The Bear charges at Luffy who response in kind, Luffy uses his “Gomu Gomu no Pistol” but the Bear dodges. Luffy then goes into his Gear Third and finishes it with a “Gigantic Pistol”. The Straw Hats are separated around the Island Sanji is with Usopp, Zoro with Chopper, and Robin, Franky, and Brook are together . They all fight against odd monsters. Luffy at one point is being chased by Scorpions, but is saved by an electric Duck, called Billy. Sanji and Usopp encounter mini pink Bulls, that shoot themselves like bullets, as well as a six legged Tiger. Franky, Robin and Brooke fight tiny ant like creatures that have helmets and swords. And Zoro faces of kills a massive dinosaur type. Jiraiya decided its finally time to kill Orochimaru. Having been previously drugged by Tsunade, Jiraiya had a difficult time molding chakra. 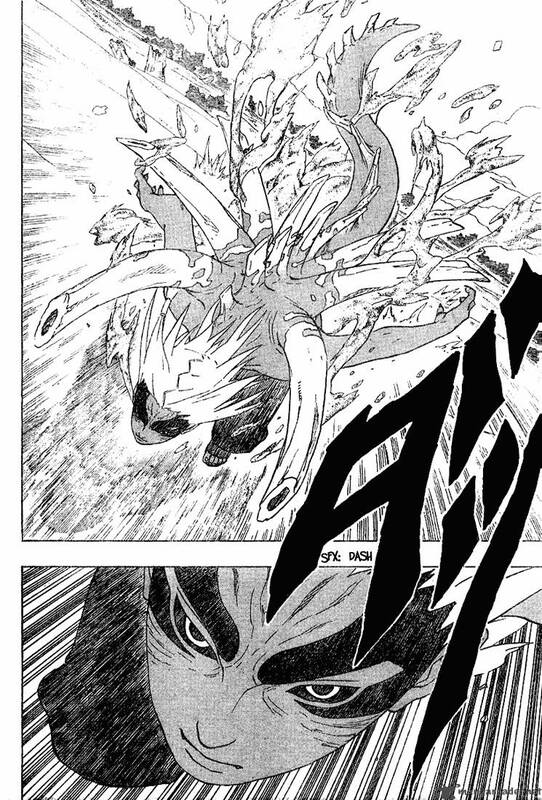 Tsunade fought Kabuto as he was the only one able. Kabuto was completely out of his league, he slits his wrists taking advantage of Tsunade’s” hæmophobia” . Naruto was injured attempting to help her. Tsunade heals him vowing to protect him no matter what. Orochimaru, attempts to kill him but Tsunade protects him with her body. Tsunade got over her blood fear and healed herself enough to summon Katsuya. 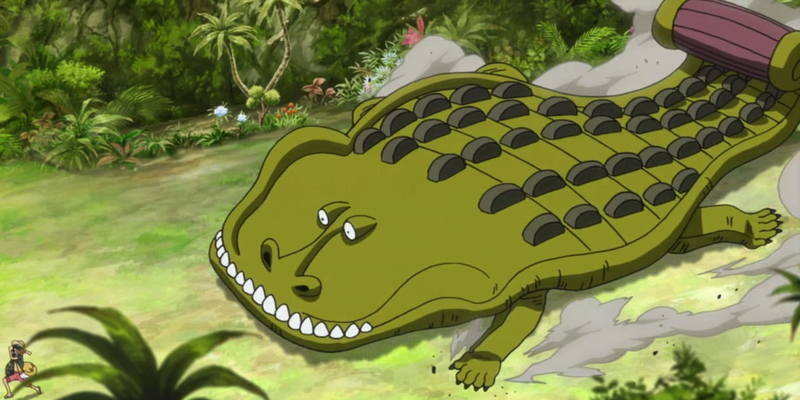 Jiraiya is able to summon Gamabunta to fight off against Orochimaru’s Manda. 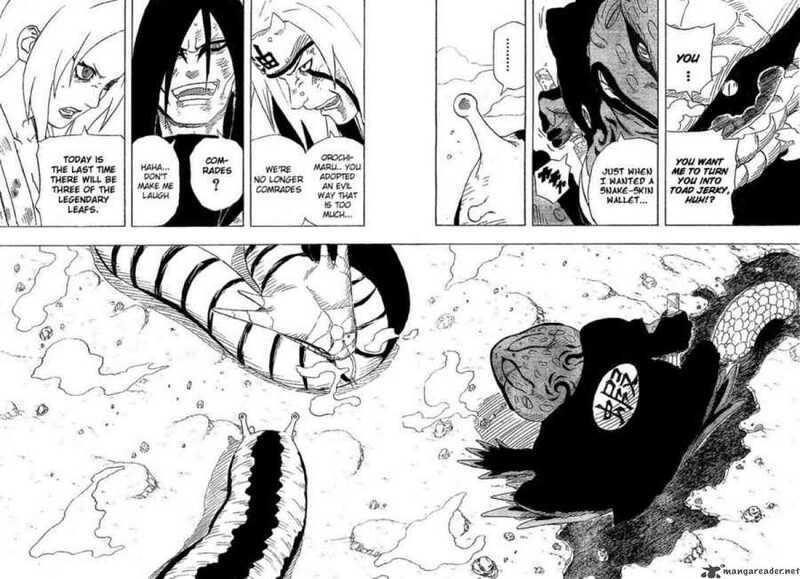 Defeating two sannin was too difficult for Orochimaru to accomplish and he and Kabuto fled. Ash – the main protagonist of Pokemon series. Paul – one of Ash’s rival. Ash leads with Pikachu and Paul use his Aggron. Aggron starts with Metal Claw, Pikachu counters with Iron Tail. Aggron uses Metal Sound, Ash tells Pikachu to use thunderbolt followed by Volt Tackle. Aggron stops Pikachu using Flash Cannon. Ash recalls Pikachu for Infernape. Aggron uses double edge, Infernape counters with Flare Blitz and they collide. Infernape is hit with recoil, Aggron is burned. Infernape uses Mach Punch knocking Aggron out of the battle. Next up for Paul is Gastrodon. Ash recalls Infernape for Staraptor. Gastrodon begins with Muddy Water, Staraptor gets a direct hit with Quick Attack. Staraptor uses Aerial Ace and Gastrodon uses Body Slam. Gastrodon use Water Pulse but Staraptor uses Close Combat to escape from under Gastrodon. Gastrodon knocks Staraptor down with Ice Beam, Ash subs Staraptor with Buizel. Gastrodon uses Ice Beam, Ash uses it to his advantage in combination with Aqua Jet. Buizel KO’s Gastrodon with Ice Punch. The poison Pokemon Drapion is Paul’s next battler. Drapion attacks with Pin Missile, Buizel uses Water Gun as a counter. Drapion uses Cross Poison but Buizel dodges and uses Sonic Boom. Its blocked by Drapion’s Tail and Drapion captures Buizel in his claws. Buizel “inflates his flotation sack” and uses Water Gun to escape. Drapion uses Toxic Spikes poisoning Buizel then KO’ing it with Pin Missile. Ash sends Staraptor back out, and Paul quickly uses Pin Missile. Staraptor evades them and uses Ariel Ace, but Drapion captures it in it claws. Using Cross Poison followed by slamming Staraptor into the ground, Drapion wins. Torterra is sent out and is quickly poisoned buy Toxic Spikes, Drapion uses Cross Poison but is stopped by Energy Ball. 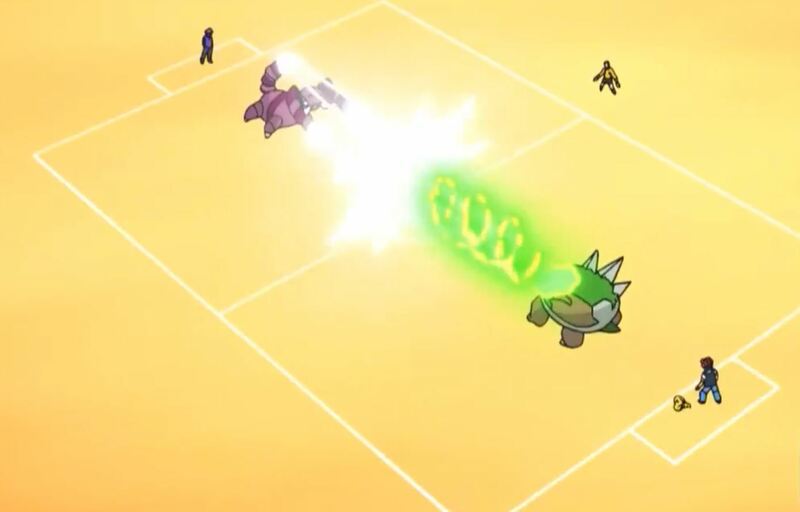 Torterra uses Leaf Storm scoring a direct hit on Drapion. Drapion uses Pin Missile once again and Torterra uses Rock Climb which is blocked by Drapion. Drapion uses Poison Fang, but Torterra uses Synthesis but Drapion wins with Pin Missile. Gliscor is used next, and Paul recalls Drapion for Ninjask. Ninjask uses its agility to increase its speed, and strike with Fury Swipes. 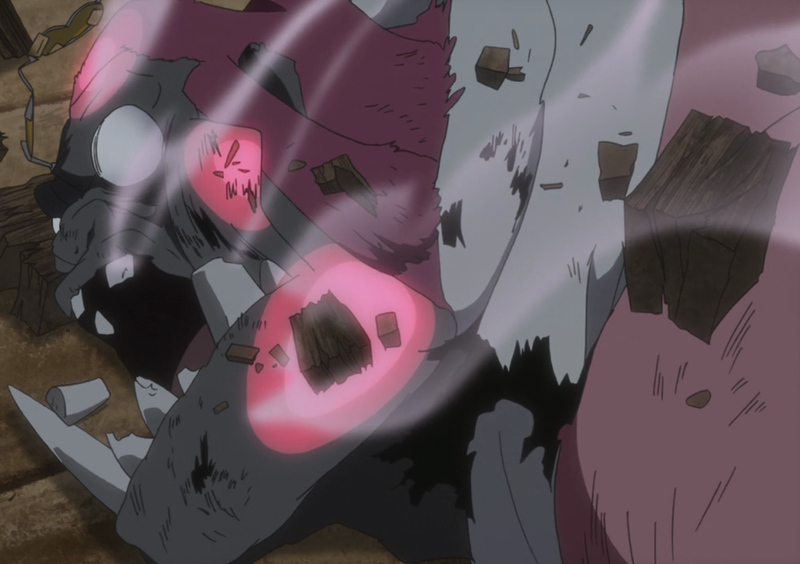 Gliscor fails in its attempt to use Fire Fang and is knocked into the ground becoming poisoned. Ash recalls Gliscor and uses Infernape who is quickly poisoned. Ash plans to get rid of the Toxic Spikes, he has Infernape dig then use Flare Blitz burning the Toxic Spikes. Ninjask uses Giga Drain but its slower due to effects from Flare Blitz. Infernape knocks Ninjask out with Mach Punch. Ash gives Infernape a rest and sends Pikachu out against Froslass, it uses Hail. Pikachu use his Thunder Bolt but its ineffective, he’s hit by Ice Shard. Volt Tackle is used but easily evaded, and Froslass uses Ice Shard. Pikachu gets a clean hit on Frosslass with Iron Tail. 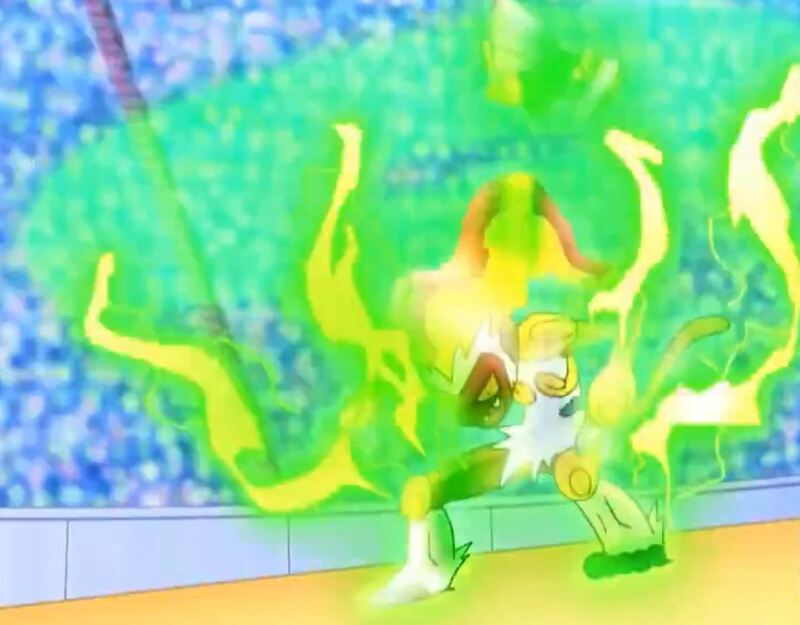 Pikachu is hit with an Ice Beam, and gets trapped but takes out Frosslass with Volt Tackle. Paul sends out Drapion and Ash calls Pikachu back and sends Gliscor out. Drapion starts with Pin Missile, Gliscor fly’s up and uses Stone Edge. Drapion counters with Cross Poison but Gliscor uses Giga Impact, Paul uses Pin Missile. Gliscor dodges the Pin Missile then fails to connect with X-Scissor. Cross Poison is uses but Gliscor quickly use Fire Fang that burns Drapion until it faints. Paul is left with his final Pokemon, Electivire. 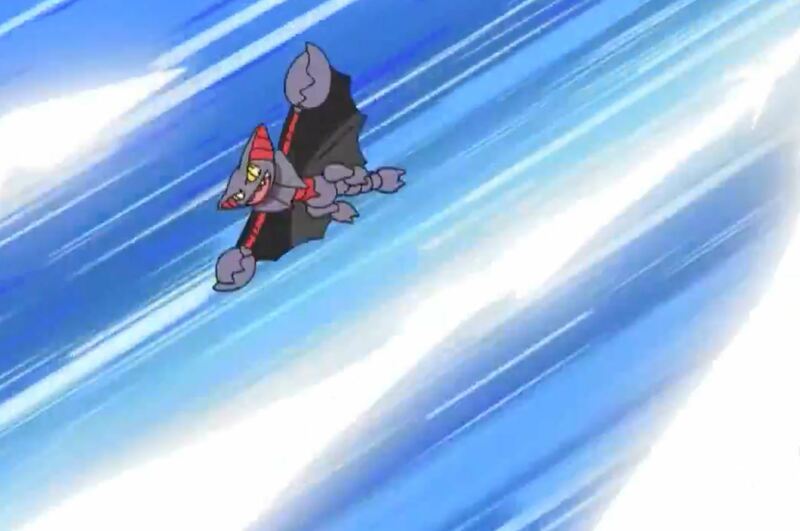 Gliscor has taken a lot of damage, and Paul uses Thunder on the field resulting in Gliscor being hit by rocks. 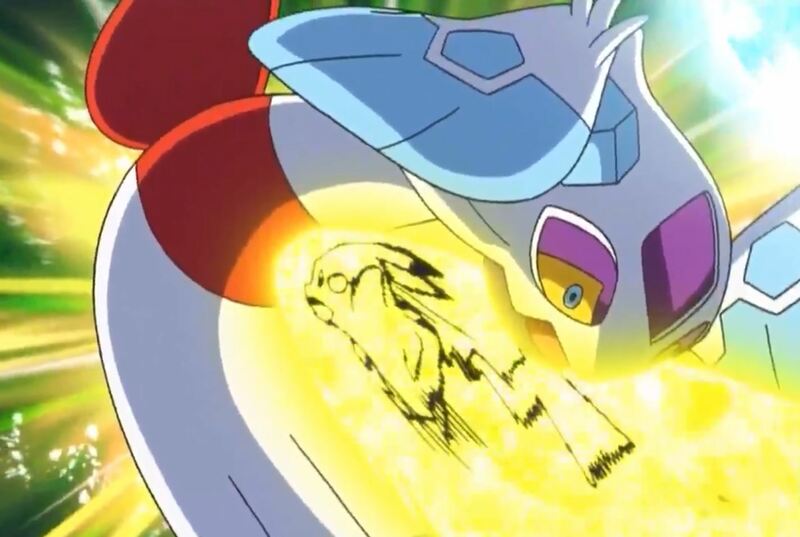 Gliscor tries to use Giga Impact but is caught an Knocked out with Brick Break. Pikachu is up and uses his speed. Pikachu uses Quick Attack and hits Electivire and Pikachu gets caught in Electivire’s tails. 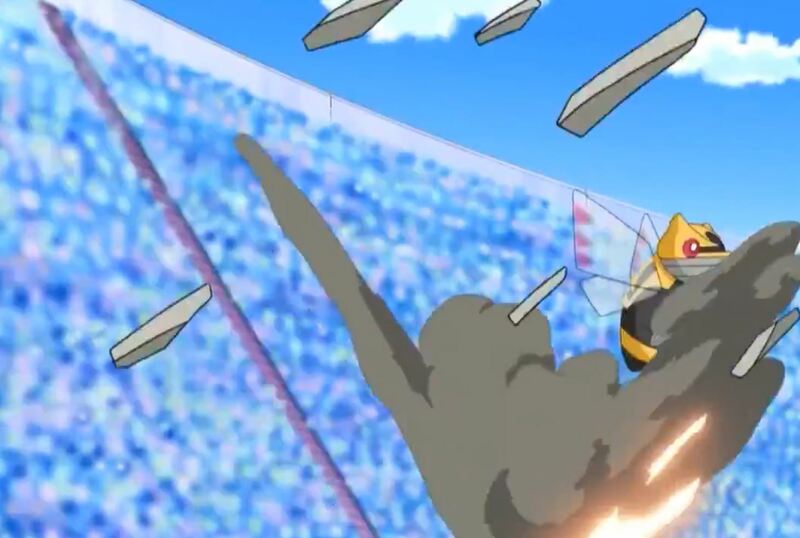 Pikachu frees itself with Iron Tail, Electivire uses Brick Break while Pikachu counters with Quick Attack. 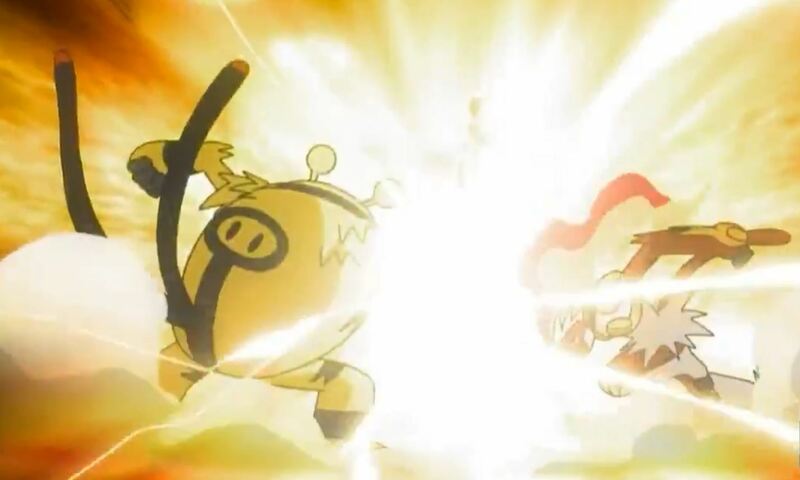 They seem to be even, Pikachu uses Volt Tackle increasing Electivire’s speed. 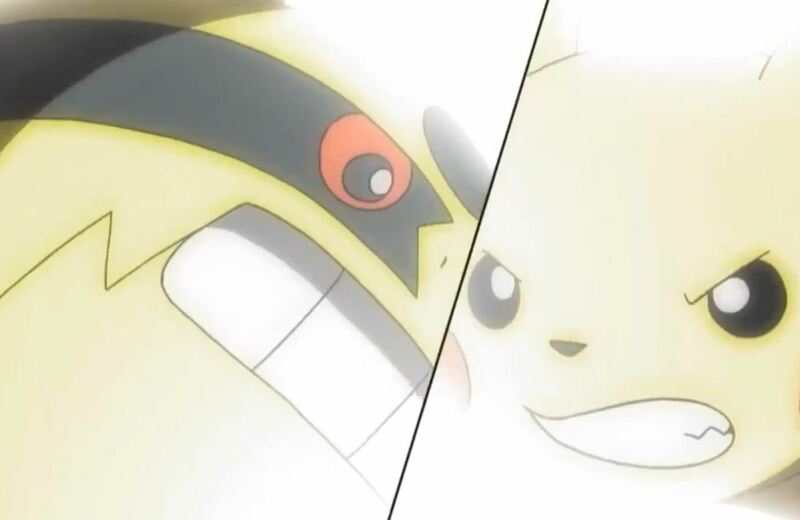 Pikachu fails to counter Electivire’s Thunder Punch and is knocked out with Brick Break. Both Ash and Paul have one Pokemon left, Electivire and Infernape. Thunder punch and Mach Punch clash as both Combatants are equal. Infernape uses Flamethrower and is countered by Protect. Electivire uses Thunder and Infernape uses Dig. Infernape uses Flamethrower, and Electivire uses Brick Break. 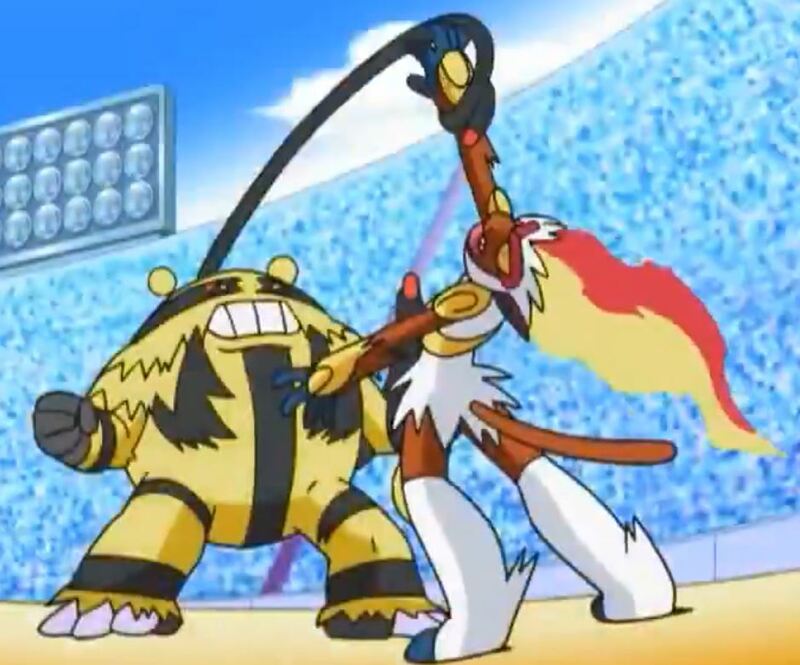 The seem even but thing appear to change as Infernape is grabbed by Electivire. To everyone’s surprise when Infernape activates its Blaze ability. In his new state Infernape uses Flamethrower, then a powerful Flare Blitz knocking out Electivire for the win. Byakuka – Captain of the 6th Division. 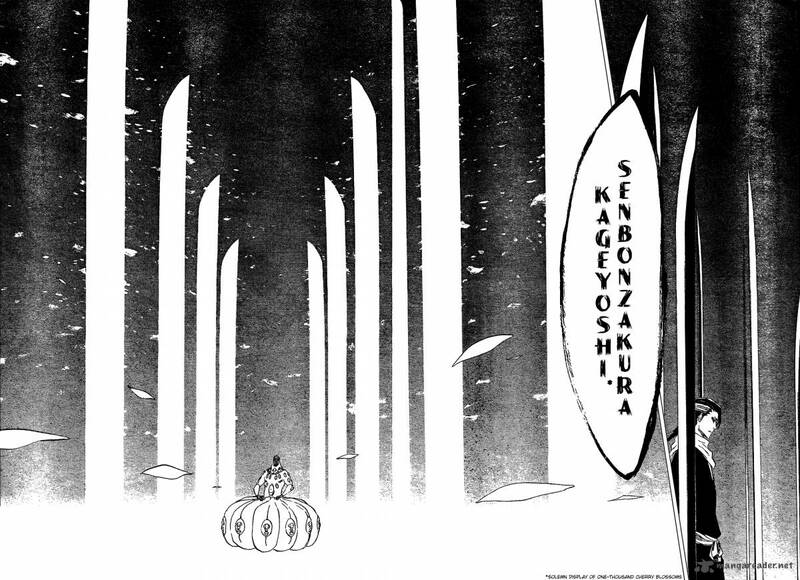 Zommari – the 7th Espada of Aizen’s army. Byakuka prevents Zommari from killing Rukia. They exchange words then begin to show off their speed, with a series of techniques. Zommari challenges Byakuka’s arrogance claiming that they are about equal. Zommari uses his “Resurrección, Brujería”. Using his Amor he “steal sovereignty over anything it sees”. He takes control over various parts of Byakuka who then cuts the tendon’s of the controlled body parts. Even without the use of his arm and leg Byakuka still maintain’s that he’s superior. 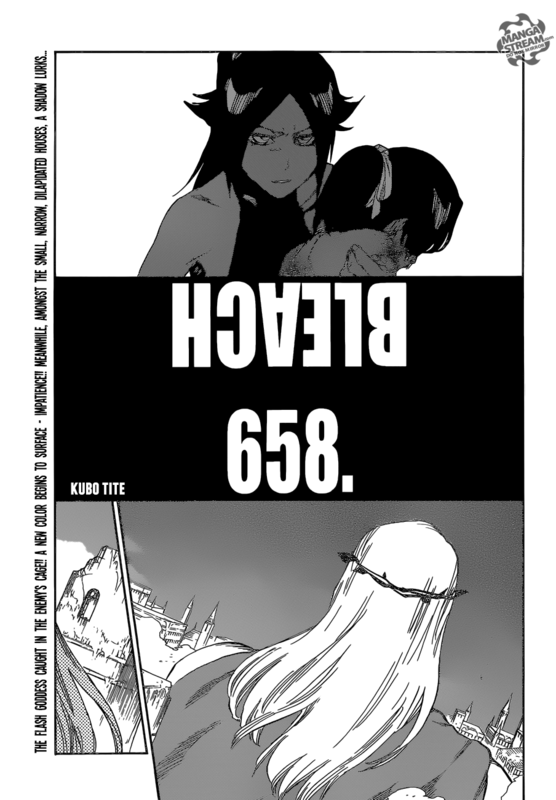 Zommari takes over Rukia’s entire body, but Byakuka counters this with Kido, prevent Rukia from moving. He activates his Bankai, Senbonzakura Kageyoshi. 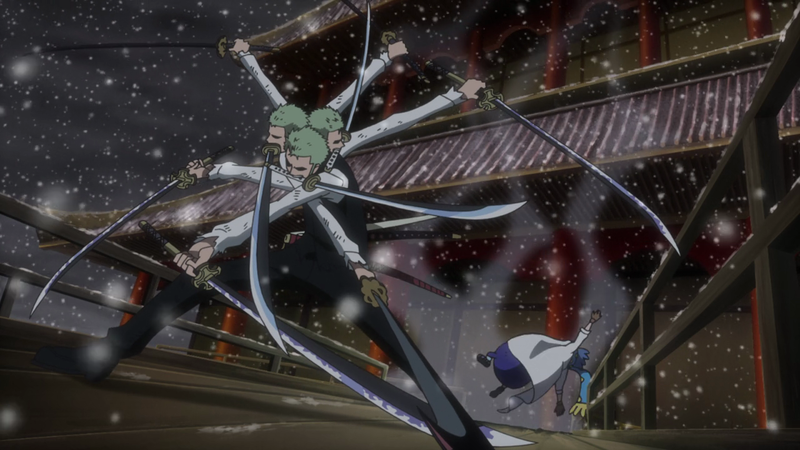 Zommari attempts to take control over the blades, but is limited due to the fact that he only has 50 eyes. 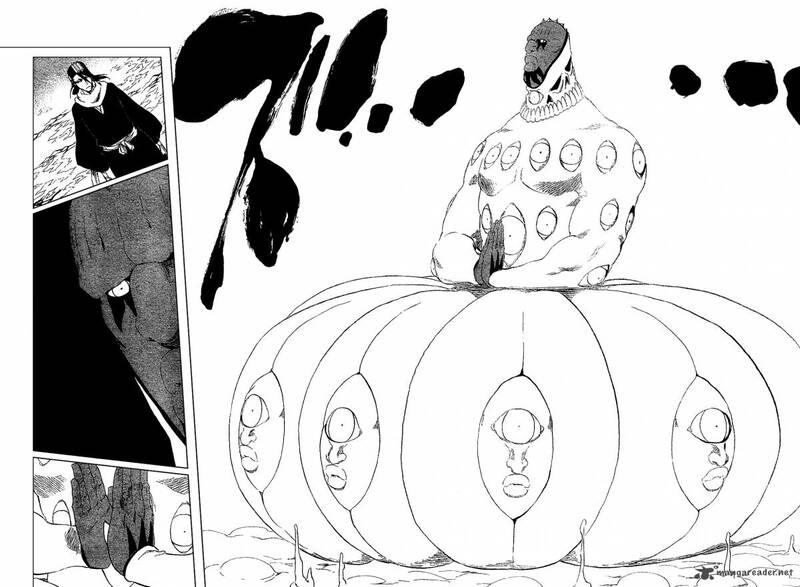 Byakuka’s Bankai has over a million little blades, Zommari uses a defensive sphere to protect himself. Zommari releasing his defeat begs for his life, but Byakuka has no sympathy for him. Gaara – Kazekage of the sand village. Kimimaro – the fifth member of the sound five. 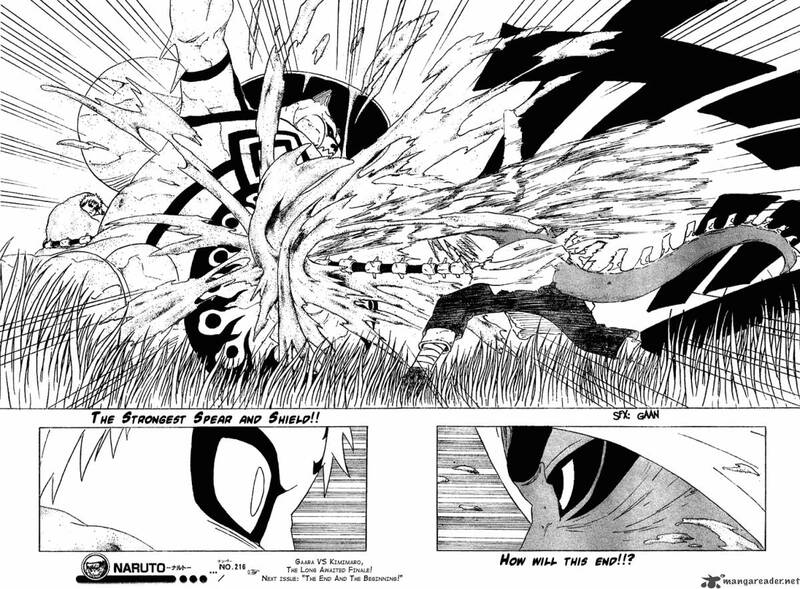 Kimimaro is hasty and attacks Gaara with ” finger bullets”, Gaara’s ultimate defense swiftly blocks them. Gaara goes offensive with his sand, but Kimimaro is too agile. He uses “Suna Shigure”, causing sand to rain to the ground. But it was a distraction designed to keep Kimimaro from noticing his feet. He grabs him with sand and covers Kimimaro with sand then uses ” Sabaku SouSou” crushing him. Kimimaro survives due to the strength of his bones. 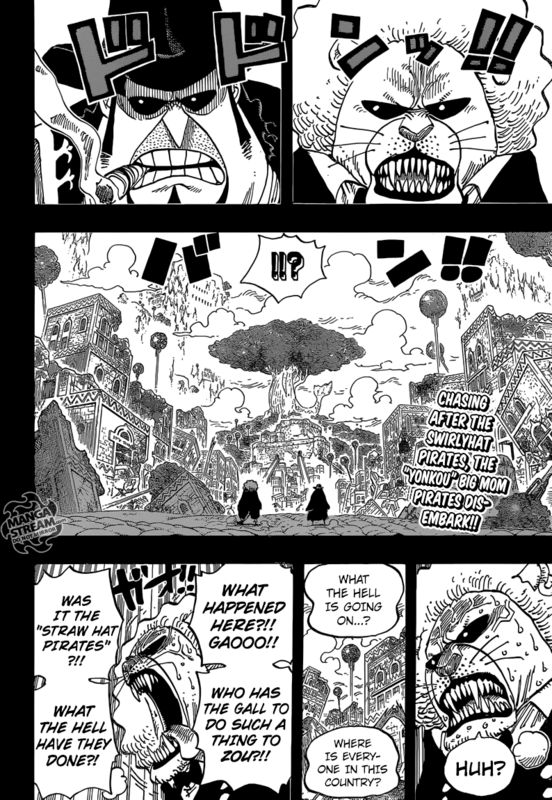 Gaara uses “Desert Avalanche” covering most of the forest with sand, including Kimimaro. He then compacts the sand with ” Desert Requiem”. Kimimaro emerges unscathed and in his curse seal level 2 form. 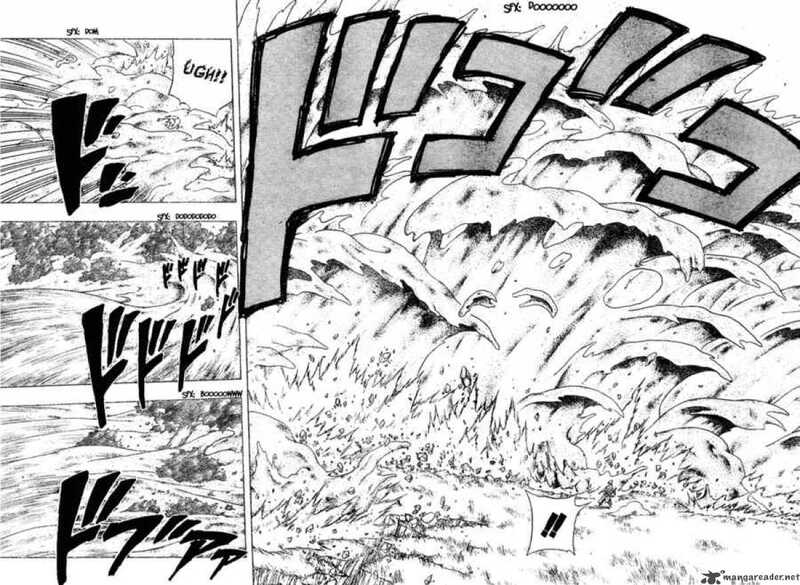 In this form Kimimaro isn’t being stopped by Gaara’s sand attacks. 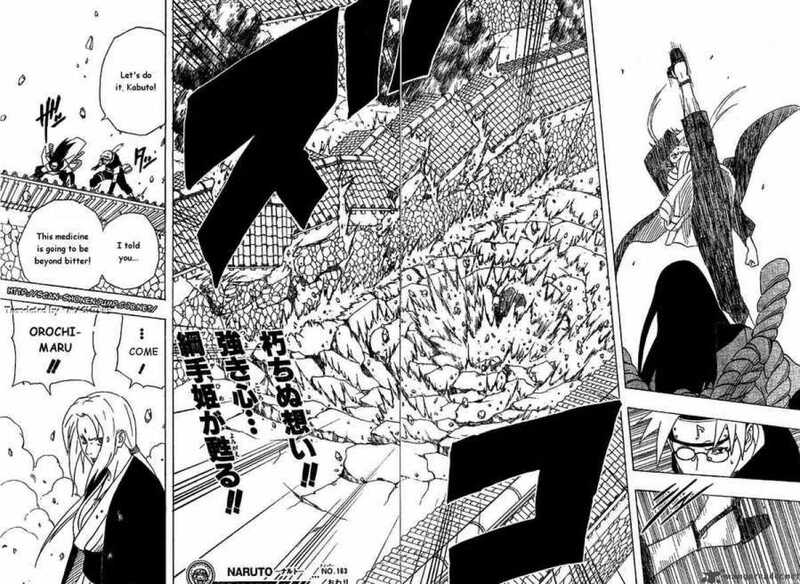 He manages to land a hit on Gaara breaking through Gaara’s sand shield. Kimimaro pulls out his own spine, and uses it to wrap around Gaara, who’s sand instantly protects him. 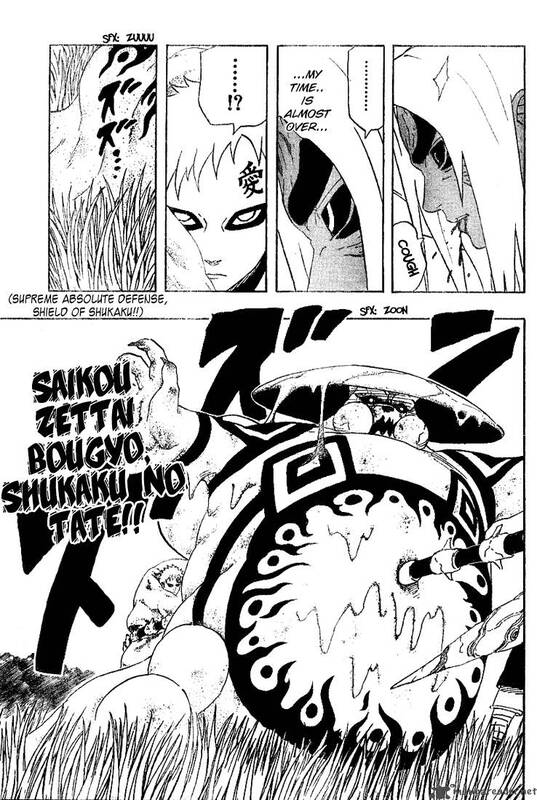 Kimimaro releases his strongest bone, Gaara counters with his ” Supreme Absolute Defense Shield of Shukaku “. Gaara’s shield trumps Kimimaro’s bone, and Gaara uses sand to trap him under ground. Kimimaro uses his final “dance” and a series of bones protruded from the ground. Gaara uses his sand to lift himself and Rock Lee into the air. Just when they appear safe Kimimaro appears behind them, but he died’s before he can strike. 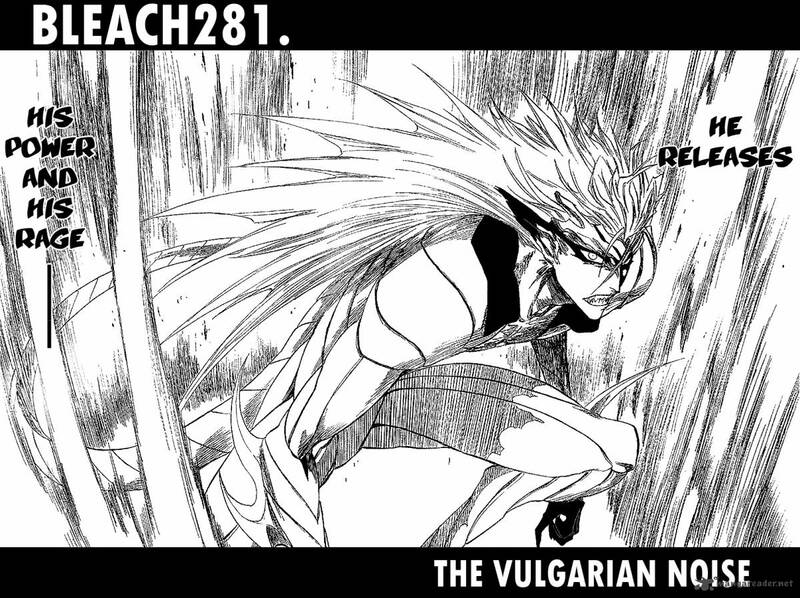 Grimmjow – the 6th Espada of Aizen’s army. Ichigo – the main protagonist of the Bleach series. Ichigo and Grimmjow clash swords, with his spare hand Grimmjow use his cero. 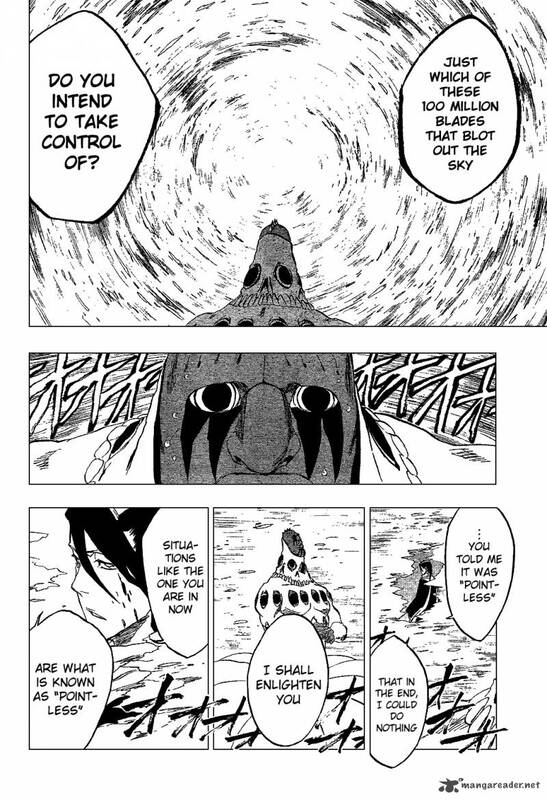 After trading threats with Ichigo, they begin to fight in mid-air. Looking to provoke Ichigo’s anger he uses his, Gran Ray Cero aiming it toward Orihime. Grimmjow finally activates his Resurrección, Pantera. They clash in mid-air once again, Grimmjow launches his ” Garra de la Pantera “. 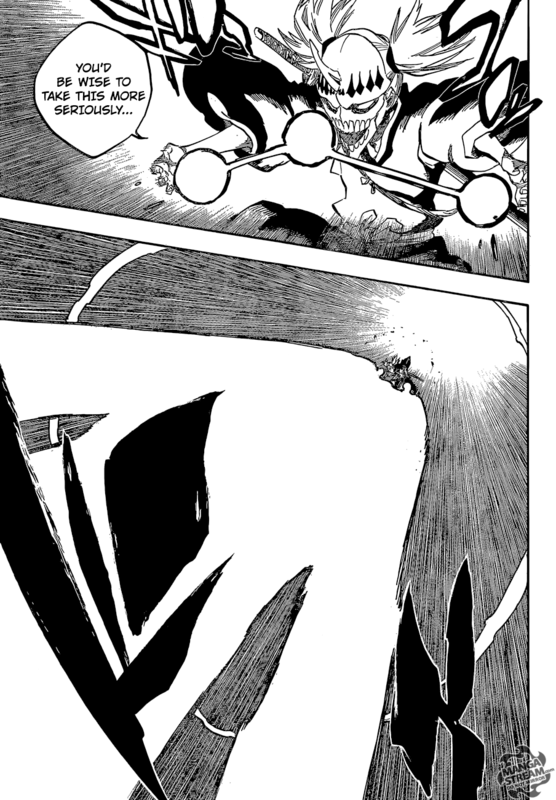 Ichigo initially dodges this but the projectiles are heading toward Orihime, he takes the hits. 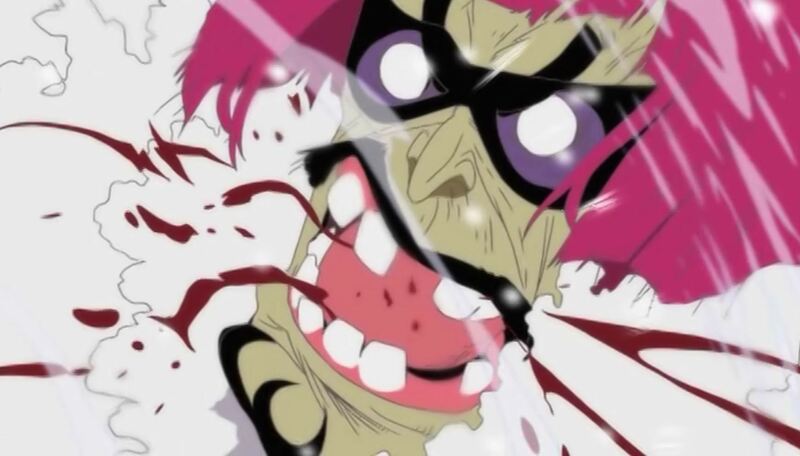 After being hit Ichigo’s mask begins to crack. Ichigo removes the crack, and they continue to trade blows. 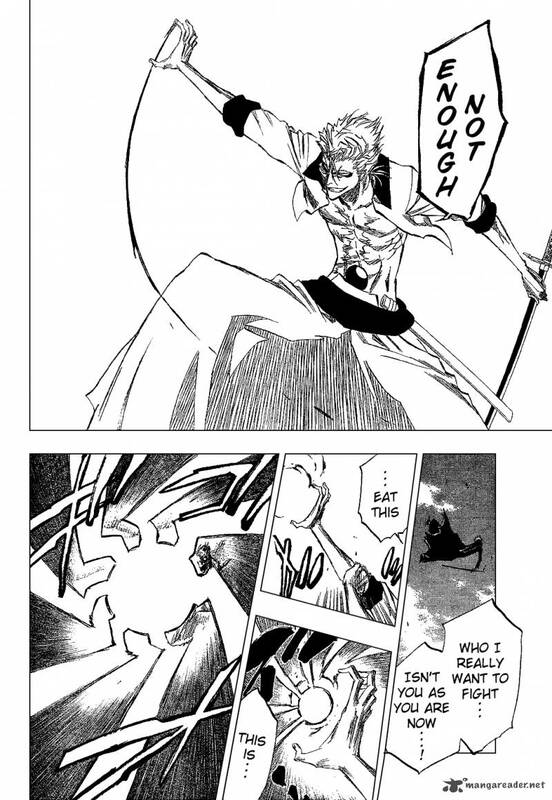 Grimmjow gets slashed down the chest by Ichigo, leaving him to believe that he has won. Grimmjow is angry that Ichigo would conclude that he could be defeated. Grimmjow releases his technique ” Desgarron “, he claims its his strongest attack. 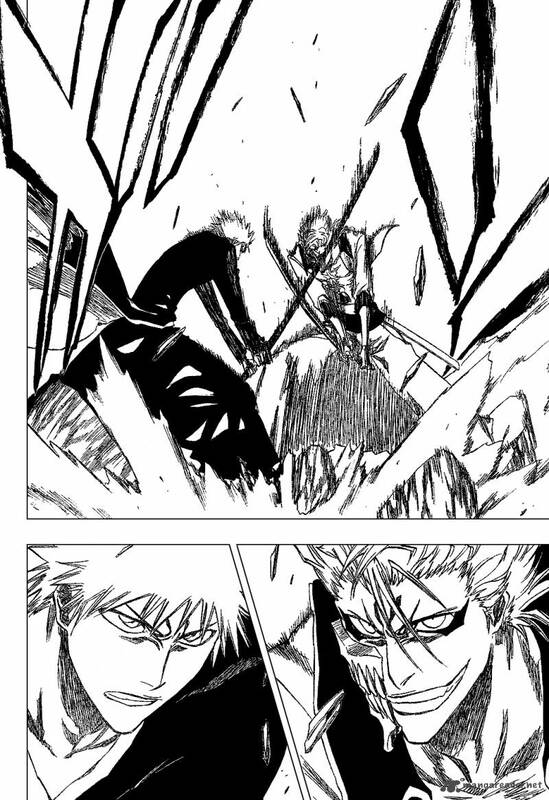 Ichigo shatters this attack and stabs Grimmjow through the chest ending the battle.